Owing to the owner's (Drive Shack Inc.) misleading offering of Rancho San Joaquin golf course as suitable for redevelopment, an outside developer from 4G Ventures in Laguna Beach was attracted with a plan for developing a significant portion of the property. The developer’s “vision,” such as it is, was to build an 800-unit, high-density, multi-story housing for 3,200 UC Irvine students on 25 acres on the golf course. ​This monstrous housing project was to be situated at the corner of Harvard and University, which is currently home to a large pond surrounded by mature trees and all manner of birds and wildlife. The developer is in the midst of a 90-day “due diligence” period before he decides whether to purchase the golf course property. ​You can imagine what this proposed development would have looked like: Massive tall buildings that are sun blocking, wind blocking and view blocking – just like what’s gone up on Michelson, Von Karman and Jamboree. These large, imposing blocks of concrete will be totally incongruent to the “village” designs of Rancho San Joaquin, University Town Center, and University Park. On August 17th, our coalition received a copy of a letter dated August 16th which was written by Ronald S. Cortez, CFO and Vice Chancellor of UCI's Division of Finance and Administration. The letter was forwarded to us by P. Alberto Sandoval, UCI Senior Director of Strategic Communications & Public Affairs. The letter is addressed to Mo Honarkar who is the potential buyer of the Rancho San Joaquin golf course, and who has proposed to build UCI student housing on the golf course property at University and Harvard. What Might An 800-Unit, Multi-story Development Look Like? We went in search of a multi-story apartment complex that‘s similar to an 800-unit housing development that’s being proposed by the potential buyer of the golf course. At 800 units on 25 acres, we estimate that that's about 30 units per acre. Thus, based on this building density we looked around our local area to see if we could find a development that's close to what's being proposed for the golf course property, and we found something pretty close to what's being proposed. Read the full article to see what we found. The results aren’t pretty. Watch KCET's "Who Approved That?" Want to see what a 100-unit, high-density apartment building looks like right next to a quiet residential neighborhood? Watch this 9-minute episode from KCET "“Who Approved That? Residents in LA Question the Highrises Popping Up In Their Backyards" and find out. Residents in the Westchester suburb of Los Angeles are now trying to recall the City Council member who helped approve it. 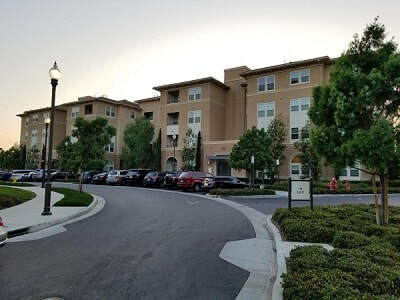 ​Keep in mind that the potential buyer of the Rancho San Joaquin golf course wants to build 800 units of student housing on the golf course, right next to established residential homes populated by retirees and young families alike. We support affordable UCI student housing but it should be built on campus where it best serves its students. We support UC Irvine and its quest to provide more affordable student housing for its growing student population. But in the interest of its students, housing should be built on the UCI campus -- not by taking away Irvine's valuable open spaces and building high-density housing in established neighborhoods which are already burdened with increased traffic and congestion. And especially not on the Rancho San Joaquin golf course which sits on top of a hazardous landfill. We know that providing affordable student housing is an important issue. 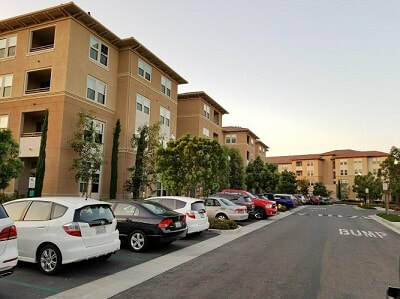 Though there is a supply of off-campus housing in University Town Center and other areas near UCI, it is financially out of reach for many students. Building more off-campus housing -- as what's being proposed on the golf course -- is not going to address the lack of enough affordable student housing, as this proposal will simply offer housing whose rents will still be out of reach for most students. UCI can solve this issue by building more on-campus housing that will be affordable. Its campus continues to have abundant open acreage, including its “North Campus” property at Campus and Jamboree which is an ideal location for multiple, multi-story, high-density student housing. Bottom line is we believe that this is a ruse by the developer to try to gain sympathy from the community for his proposal to build high-density housing on the golf course.